Grateful Friday - Bargain Buys - Reclusive Fox ""
Some time back I requested information on where I could find some funky fabrics and this week I found the place, it’s pretty much on my doorstep too. 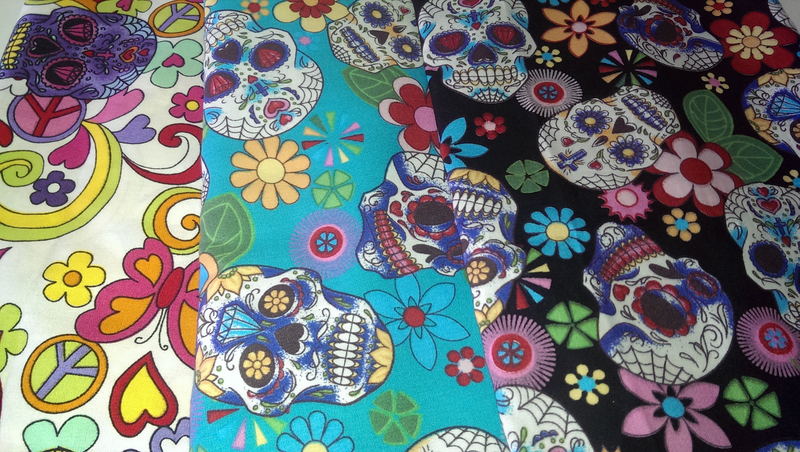 I saw some Day of the Dead fabrics that they advertised on their Oh Sew Crafty Facebook page and ordered right away. For around £12 I managed to get a metre of the turquoise and two half metres of the black and the white! They delivered the very next morning too and I was blown away by their speedy service. I’m looking forward to ordering a lot more fabric from them in the future…Now all I need to do is master this sewing lark! 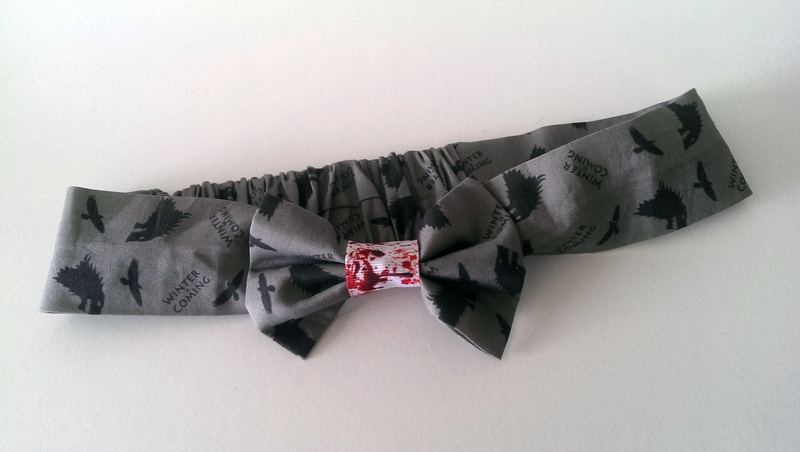 In addition to the fabric I was also thrilled when this awesome Game of Thrones headband turned up in the post. I entered a charity auction and surprisingly I managed to snag it for just £1! What an amazing deal! As it was for charity and the shipping was free I paid more than the £1, that would have been a cheeky amount, but it was still a great bargain and I think they retail for £3.50 and you can request custom orders I believe. The headband is hand-made by Nukem815 and she has an Etsy store so go check her out. I love her bags, she somehow manages to find the most incredible fabrics (there’s an awesome Patrick Bateman bag on her page that I lust after!) . 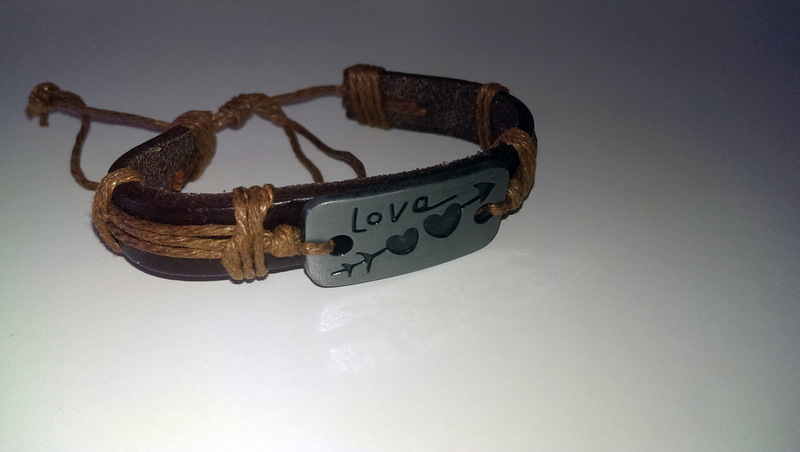 Finally I was sent this wristband by The Fashion Merchant. Now, granted I didn’t pay for it but if I had it would have only cost me £2.75 with free postage. The wristband is adjustable and will be heading off on holiday with my daughter in a couple of weeks who is off on an adventure down South ( I will be left at home worrying the whole time). At this low price I’m not concerned about her losing it in the sea or getting it covered in sand so I’m really pleased with it and my daughter is too. The Fashion Merchant have loads of jewellery available on eBay (a website is in the works) and all their prices are incredibly low. So these are the bargain buys that I am very grateful for this Friday. Did you get any good deals this week? GRIP: Combat Racing Drives Us Back to the Nineties! Wow. We love game of thrones here and that headband is amazing. I adore it 🙂 I’m going to save up and see if Nukem185 will make me a Game of Thrones bag one day.